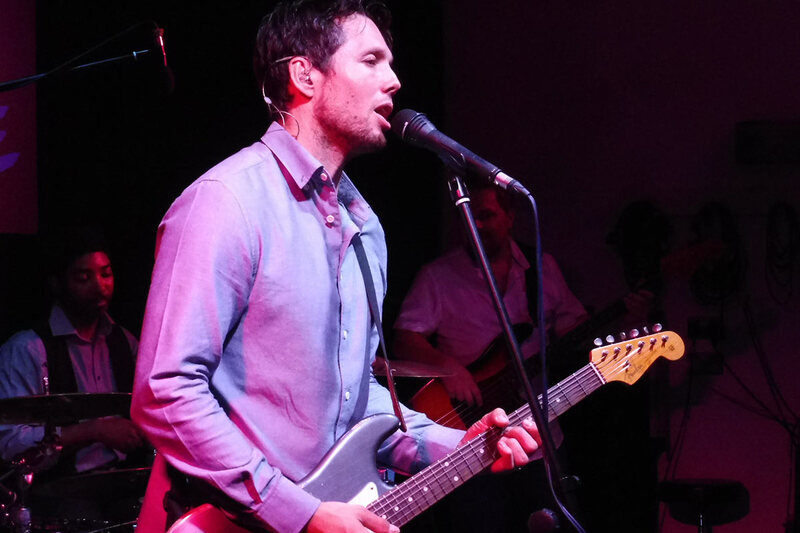 Aynsley Lister Band Says ‘Just Rock’! To start with. May I apologise for seemingly butting into Auntie Jenna’s domain, whose knowledge on all things blues certainly puts me firmly in my place in the basement, but Jenna and Paddy were otherwise engaged so you’ll have to suffer my interpretation of another wonderful evening’s entertainment. Not to worry, I’ll be asking for an absence note from them before the next show in August when normal service will be resumed. I was tempted to be rather economical with the typing and just write “They was dead good” as suggested by one wag in the audience but I think it needs a tad more than that to convey the experience of what has become the standard for shows at the Meeting Room. Well, there we were on Saturday, July 21st on an evening where the weather was jolly agreeable (if you like that sort of thing) and with a sell-out crowd: by the way, what is it that some folk don’t understand about the words ‘sold out’? A mixture of the usual suspects, dedicated Aynsley Lister fans and first-timers, things were going to get hot, and I’m not just talking about the weather. But more of that later. A first-time visitor to the Meeting Room soirees and very welcome he was too. 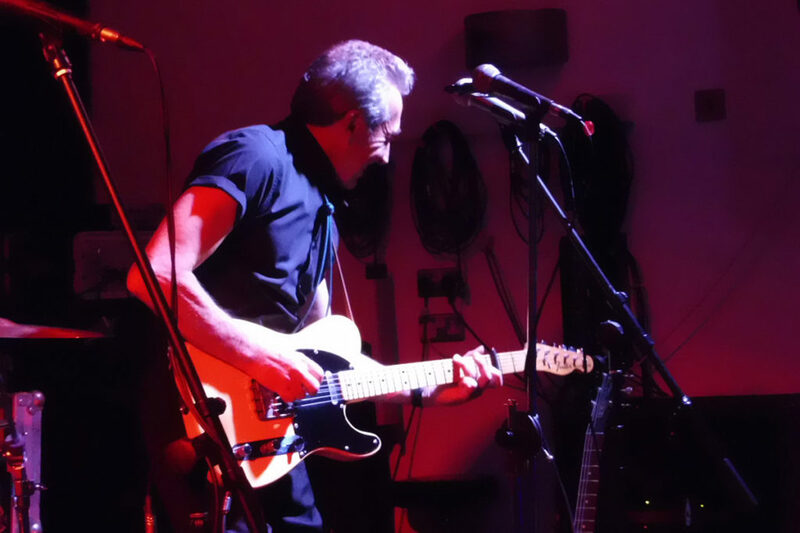 There’s no doubt that the Elland audience knows their onions and responded positively to Angelo’s slick slide guitar work, harmonica and very strong vocals. Looking around throughout the set, the audience was very attentive to the music as he went through his repertoire of largely self-penned material most of which is available on his recorded work. Angelo kept the audience’s attention between numbers that included “Nothing But Love Will Do”, “Another Mystery Train” and from his album “Blood Blues and Bad Dreams”, “Just Can’t Sleep” among others. With his friendly banter about how some of the songs came about; certainly an accomplished performer and writer. Once Angelo had suitably warmed the audience (musically of course), the interval was a first in my experience of the Meeting Room. The weather, being so hot and with a sell-out crowd in the venue, David provided ice pops! I wonder if anyone asked him for a choc ice or even an albatross or two…I certainly daren’t! Anyway, given the culture of the generosity of David and his crew, it was certainly a nice touch. Now the audience was warmed up (musically) and cooled down (heat), for the third time of asking the much travelled and heralded Aynsley Lister Band took to the stage and we weren’t to be disappointed. 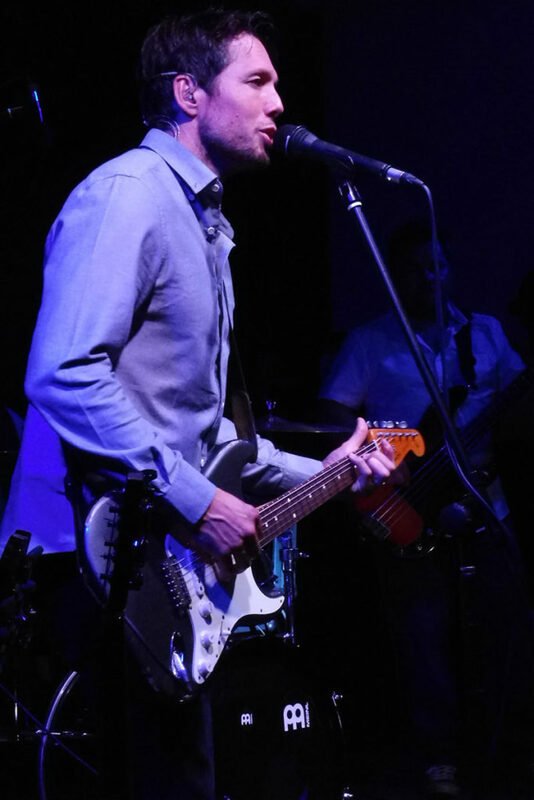 Aynsley’s work is underpinned by sweet crisp solos with slick licks that only incalculable hours or practice can perfect and one hell of a back line; one of the tightest bands you’re likely to see honed from years of live shows and studio work. A word first if I may on the back line. On the drums, we were treated to the amazing laid-back style of Boneto Dryden (making Nick Mason seem like Keith Moon) and whose impeccable timing held it all together with the bass of Steve Amedeo. The importance of a back line must not be under-estimated and Aynsley sure has a good one there! The ivories (not real!) were more than ably tinkled by Andy Price and created a very good balance with Aynsley’s thoughtful and clear style of playing. By the way, belated birthday felicitations are due to Mr Price who hit the big five zero earlier in the week! It didn’t take long for the band and audience to engage – probably the first chord in truth – and the night was always going to go down well with an audience brimming with anticipation and besides numbers from his own catalogue that dates back over 20 years, there were also tracks acknowledging his musical influences including Memphis Slim’s “Steppin’ Out” as well as numbers by Freddie King and Prince. 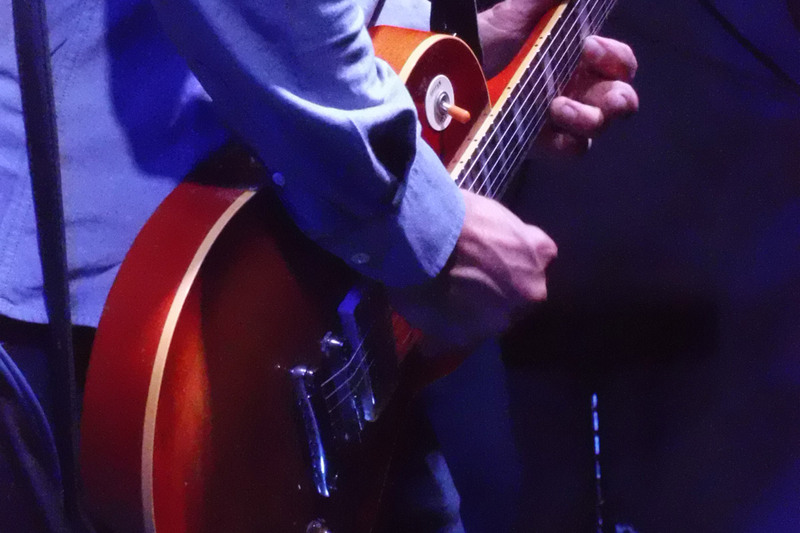 “Do we like the blues?” came a voice from the stage. “Is the pope Catholic?” might have been a legitimate response…of course we do! And there it was. After an encore (is one ever enough?) another successful evening for both the venue and the band. The band moving on to the next gig, the venue preparing for the next soiree with Xander and the Peace Pirates. All in all, one can write as many words as can be thought of but Aynsley’s own strap line from his t-shirt summed everything up succinctly…”Just Rock”.